October 25, 2012 February 17, 2014 by Karen SteedLeave a Comment on Why bespoke? Bespoke – meaning made to a buyer’s specification (personalised or tailored)…. Why buy bespoke? There are so many reasons….from quality workmanship to made to measure service. Unlike ready made curtains, bespoke curtains & blinds are tailor made just for you & your home. Every detail can be personally designed & managed. A bespoke curtain maker can make to fit challenging windows or doors. Details & trimmings can be used to create ‘one of a kind’ & you can have personalised products & service that reflect your taste & budget. 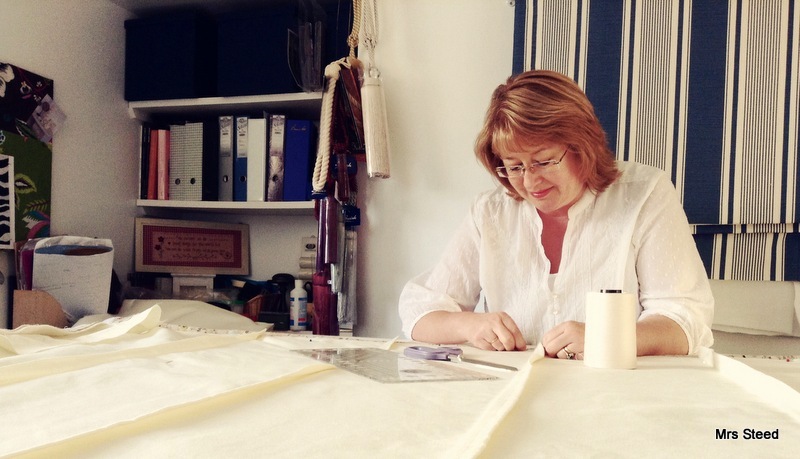 Often people think that bespoke is not affordable but it can be; let me work with you to create the soft furnishings that you really would love to have in your home & that reflect your personality & the way you live.